Likely, you are reading this post after having received several promotional emails from brands mass-advertising their Mother’s Day deals. Also likely, you have a mother who is unique, refined, and an all-around gem. What a coincidence: so is Hartsville! And your mother deserves a locally picked gift as unique as she is. 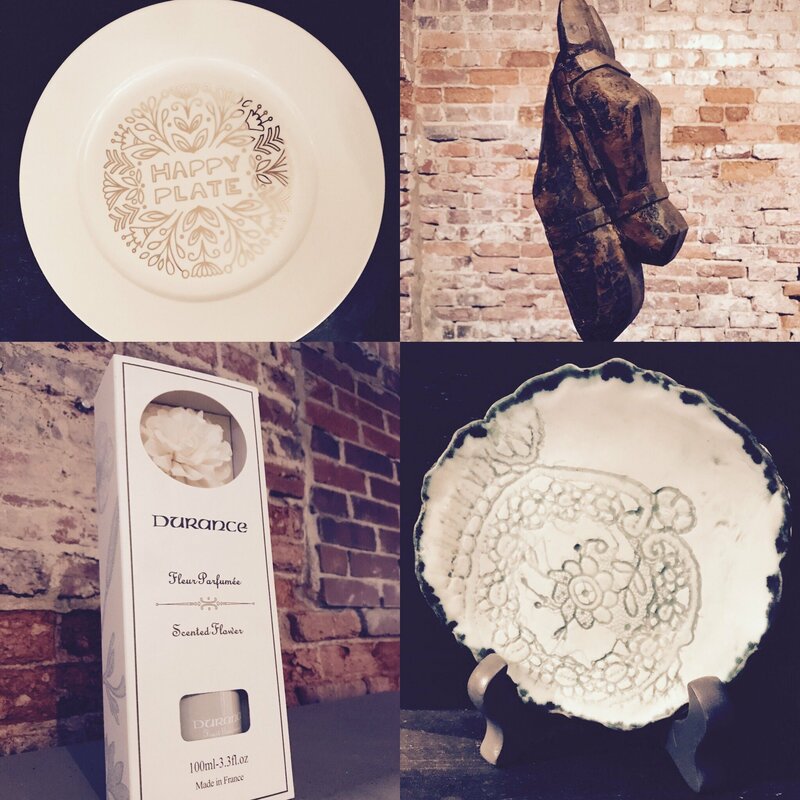 With one week to go, we’ve made finding the perfect gift easy with this Gift-Giving Guide from Downtown Hartsville. No matter her personality, she’ll love the thoughtfulness, and you’ll get a fun afternoon in our adorable downtown. Who says you can’t have it all? (Probably Mom). You need exotic gifts that will make her dream of her next adventure. 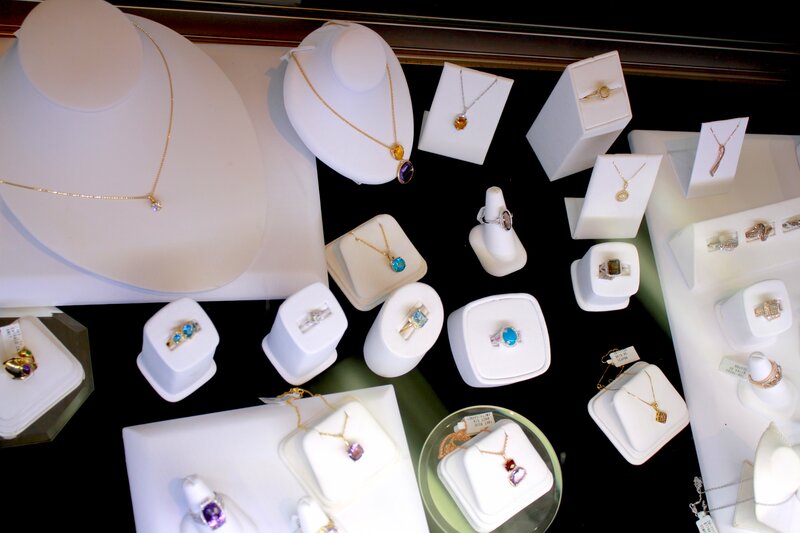 Head down to De Baz first, and pick up one of their carefully selected fair-trade jewelry pieces or handcrafted decorative items. With items from over 25 countries around the world, this eclectic store may even have a piece that will inspire your mom’s next adventure (and as her new favorite child, you’ll get to go!). Don’t forget to include the item’s tag with its story in the package. Next, mosey over to the The Mint Julep where you can pick up gourmet foodstuffs so your mom can host the next potluck and run through a slideshow of pictures from her travels. Package them in one of the store’s elegant serving dishes so she even has a centerpiece for the gathering. You need a “Treat Yo Self” kind of day to stop her clock and relax her. 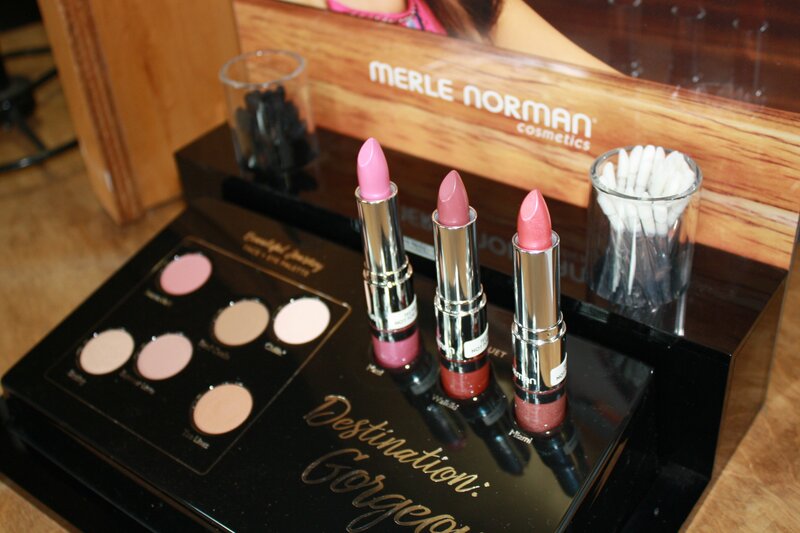 First things first: head to blush: A Merle Norman Studio to assemble a pampering basket for her with the latest Merle Norman beauty products, or grab her a gift-card for a soothing facial. If a blow-out and the latest Opi color are more her style, head to Indigo Salon & Day Spa for their Mother’s Day gift certificate special: spend $50 on a gift certificate and get $10. For a relaxing spa day she can have at home, place a few of Crema Coffee owner Tiffany Moan’s homemade bath bombs from her brand, Super Natural Body Care in a basket: they’re buy 3, get one free. What, she’s already a regular at the spa? 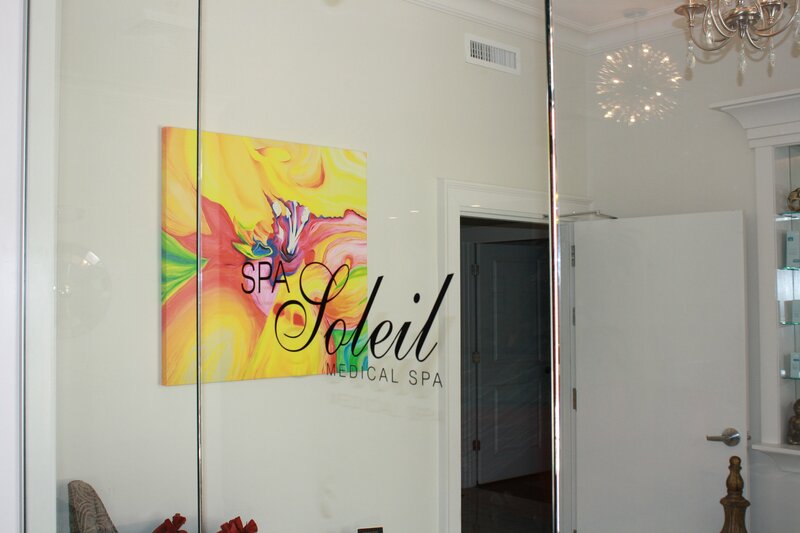 Then indulge her with a double-date to Spa Soleil, picking from such delicacies as a European facial ($65), a blossom ritual ($100–please report back with what this entails), or simply a 1-hr professional massage ($60). And for a longer-term gift of relaxation, check out Girls University‘s Mother’s Day special: 50% off 8 weeks of summer camp at Coker College, to benefit from several days of peace and quiet! Be careful–she might like it. Show her the best of Downtown’s palette by taking her on a Treasure Hunt of Flavors. 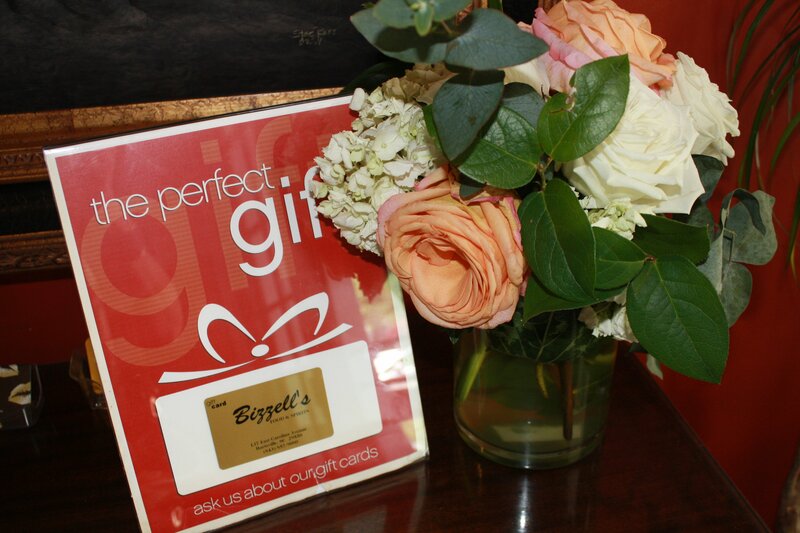 Start by treating her to brunch at Bizzell’s for their famed Mother’s Day Sunday Buffet, featuring such Southern staples as beef tips with mushroom gravy, shrimp & grits, and deviled eggs. If a dinner outfits your agenda better, but thinking of Hartsville’s Sunday hours makes you gloomy, don’t despair: our new foodie neighbor, Sam Kendall’s, is open from noon until 9pm on Mother’s Day (yes, that includes the bar). The Lighter Side will also be featuring a dinner special, where Mom can get free soup and salad bar with her meal. And since you’ve been planning this Mother’s Day for weeks (right? ), you can shuttle her home to a delicious layered cake ordered from SugaRush. Psst…order before Wednesday, May 10th for a Saturday pick-up. Take her on a shopping adventure, or take yourself on one and bring her home the gifts to unwrap and clothe her head-to-toe. If classic elegance is her style, DeVane’s, a family-owned business, will offer you an array of outfits for her. If she’s an easy, breezy, beautiful lady who comes alive with the warm weather and nonchalance of summer days, cross over to COAST on Carolina, where their casual chic style will bring out her vibe. Now, for the shoes…you have two wonderful options. 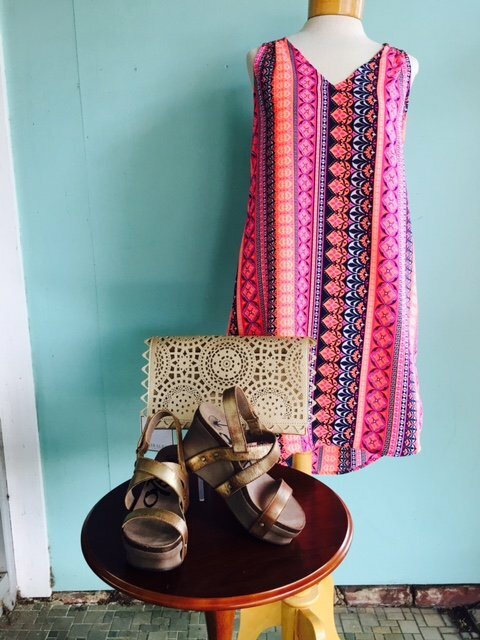 Head to Rambo’s Shoes for the Mother who prioritizes sleek fashion or chic comfort; and for the Mother whose style screams creativity, check out the selection at Brandi’s on College. Because shopping is a marathon—not a sprint—take a breather at Crema Coffee with one of their honey cinnamon lattes before heading down to Minnie’s Giftique for their adorable outfits, purses, and shoes (below). 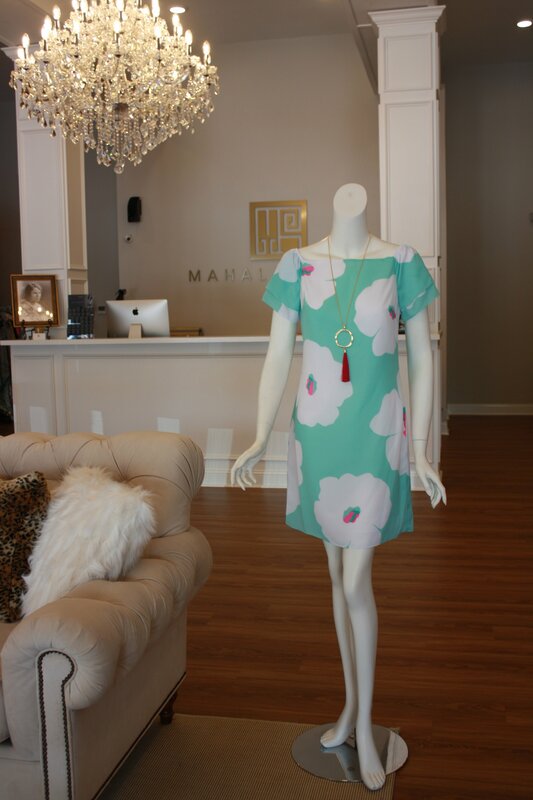 Finally, check out our newest neighbors, Mahala Reese, for timeless pieces made for women of all ages (below). Don’t have time for all that shopping? Just stop by Main Street Hartsville and grab her a gift certificate, signed by you and redeemable for any day of the year, anywhere in Downtown. Turn the tables on her and host a celebration for HER this Mother’s Day. Take a page from her (likely very organized) book and stop by Tin Can in Burry Bookstore to pick up elegant stationary or boxed notecards (20% off!) for your party-planning to-do list. Next, head to Retrofit Sip-N-Seat—no, not to sample their delicious lemon sorbet and tequila refreshers, but to grab a set of these gorgeous gold-etched serving plates (below) for her always-set dining room table. 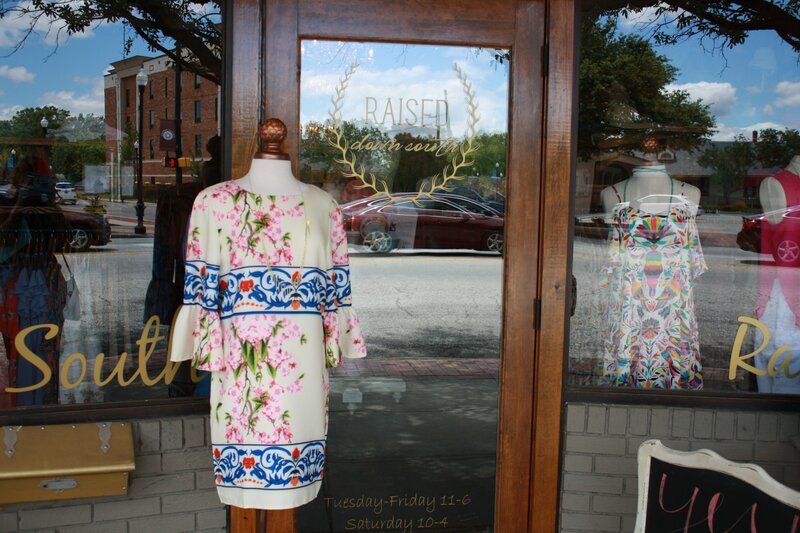 Finally, go to Raised Down South to grab her a floral dress like this one (below) that will match her personality. And if she’s a Supper Club host, ease her load at the next gathering by ordering a delivery of chocolate-covered strawberries from Crema Coffee (6 for $14 or 12 for $24). You’ll be her second-in-command in no-time. Nothing makes her happier than boasting about her family, so stop by Madison Avenue to grab her a pair of stackable rings with each child’s birthstone for an elegant reminder that you love her (above). Then, head over to local, hand-made SeersuckerGypsy where she can get one of your father or brother’s neckties made into a vintage-chic cloth bauble necklace by a local artist. 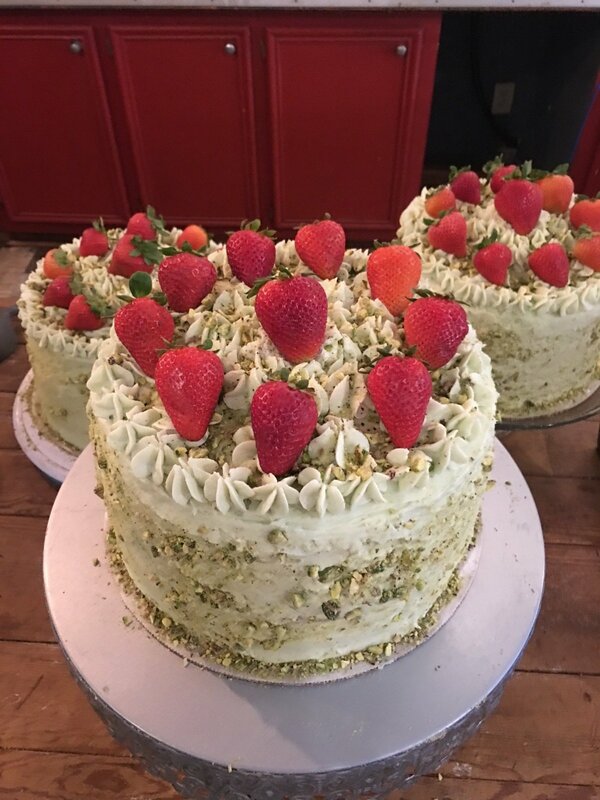 Finally, stop by Midnight Rooster this week to grab one of their strawberry cakes with pistachio buttercream icing (below) to crown off a nice family dinner honoring the lady who stitches it together. There you have it, folks! 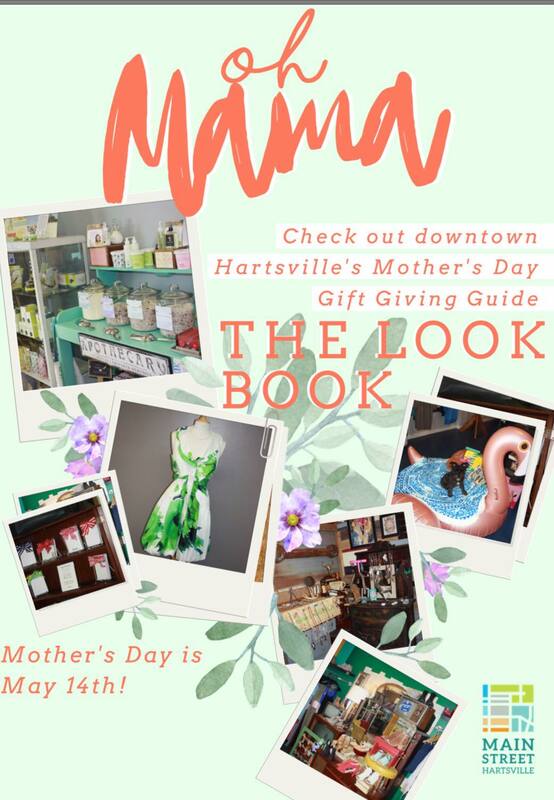 No matter the personality of the dear Mother you call yours, Downtown Hartsville’s got a gift idea for you. Grab your Guide and head out there: it’s your day to become the favorite child once and for all. Happy shopping!